A strong company builds strong careers. The Thor Industries family is one of the largest RV manufacturers in the world, made up of 16 companies that produce exceptional RVs and RV components. We make it possible for our customers to live their dreams, and we take that responsibility seriously. And we’re always looking for dedicated people who feel the same. So explore our companies. Learn about our culture and benefits. Hear from our team members. Find the job that feels like the best fit for your skills and career goals. Then, connect with us when you’re ready to apply. Your next opportunity is waiting. Thor Industries is one of the world’s largest RV manufacturers. With over 23,000 employees worldwide our goal is to hire and retain top level employees. Located in the heart of Elkhart County, we are advocates for family and the great outdoors. We are catalysts for people to connect with each other and we are champions for the exploration of the world around us. Driven by innovation, rooted in humility, and obsessive about quality, the Airstream team is committed to making customers’ outdoor adventure dreams come true. And they’re building on a long legacy of success with every rivet. The Heartland group is always looking forward. Breaking ground. Finding new ways to make quality products that get customers excited about RVing. It’s a group of quick thinkers, passionate workers, and creative people who never stop. Jayco started as a family business, and the feeling of family has only grown since then. Every single person is treated with respect and dignity at every turn, and it doesn’t count as a success unless everybody wins. The driving goal at Keystone is to make it easy for customers to find an RV that feels like it was made for them, and for team members to build that RV in the best possible way. The team works hard, works fast, shares ideas, and feels lucky to be doing it. K-Z hangs their hat on quality at every step of the way. It’s a team who cares about what they do and who they do it for, a passion you can see everywhere—from the loyalty and career longevity to the can-do spirit and willingness to do anything it takes to get the job done right. As the backbone of the RV business, Postle supplies the aluminum that goes into Thor Industries RVs and so much more. 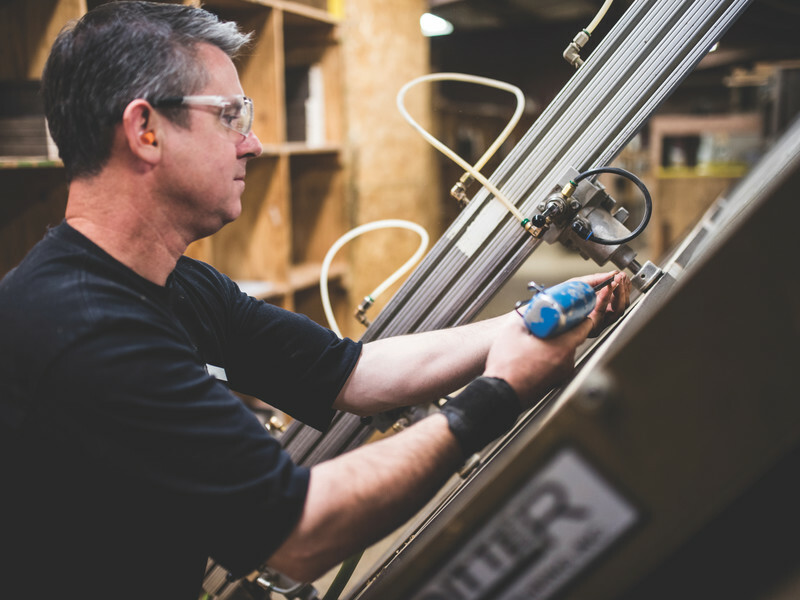 From extrusion to fabrication to painting, there’s a trade for everyone and countless opportunities to join a hardworking team that will only keep growing. What does it take to be the number one motorhome brand in North America? Six plants, eight production lines, four campuses, and more than 2,000 hardworking employees who help Thor Motor Coach accomplish big goals every single day.